Fill in each blank with the correct form of the word from the box. The 22nd Southeast Asian Games were held in Hanoi, Vietnam from 5th December to 13th December, 2003. The Games were ___________ by Vietnamese Prime Minister Phan Van Khai in the newly constructed My Dinh National_________ in Hanoi. The games_______ was lit by Nguyen Thuy Hien of Wushu. It was the first time in the SEA Games history that the Games venues were assigned into two cities ___________ Hanoi and Ho Chi Minh City. The 22nd SEA Games logo of Painter Nguyen Chi Long is based on a _________ bird named “Chim Lac”. The bird decorated the Ngoc Lu Bronze drum, a typical antiquity of the __________ Dong Son Vietnamese culture. The Emblem is composed of harmonious and vigorous curves, creating a feeling of movement and strength which conforms to the Olympic Spirit: “Faster, Higher and Stronger”. The colorful whirls represent the tough____________ in sports. The Games’ hymn was “For the World of Tomorrow”, composed by Nguyen Quang Vinh. Painter Nguyen Thai Hung chose “Trau Vang”, the golden water buffalo as the _______ for the 22nd SEA Games. With a gentle and__________ nature, the clever Buffalo has become synonymous with the water and rice civilization that is so important in Vietnam as well as in other Southeast Asian countries. To Vietnamese people, the Golden Buffalo symbolizes a golden harvest, _______, happiness, power and the Vietnamese ________. The 22nd Southeast Asian Games were held in Hanoi, Vietnam from 5th December to 13th December, 2003. The Games were opened by Vietnamese Prime Minister Phan Van Khai in the newly constructed My Dinh National Stadium in Hanoi. The games torch was lit by Nguyen Thuy Hien of Wushu. It was the first time in the SEA Games history that the Games venues were assigned into two cities namely Hanoi and Ho Chi Minh City. The 22nd SEA Games logo of Painter Nguyen Chi Long is based on a legendary bird named “Chim Lac”. The bird decorated the Ngoc Lu Bronze drum, a typical antiquity of the ancient Dong Son Vietnamese culture. The Emblem is composed of harmonious and vigorous curves, creating a feeling of movement and strength which conforms to the Olympic Spirit: “Faster, Higher and Stronger”. The colorful whirls represent the tough competitiveness in sports. The Games’ hymn was “For the World of Tomorrow”, composed by Nguyen Quang Vinh. Painter Nguyen Thai Hung chose “Trau Vang”, the golden water buffalo as the mascot for the 22nd SEA Games. With a gentle and harmonious nature, the clever Buffalo has become synonymous with the water and rice civilization that is so important in Vietnam as well as in other Southeast Asian countries. To Vietnamese people, the Golden Buffalo symbolizes a golden harvest, prosperity, happiness, power and the Vietnamese martial spirit. 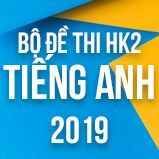 Như vậy là các em đã xem qua bài giảng phần Unit 13 The 22nd SEA Games - Vocabulary chương trình Tiếng Anh lớp 12 về chủ đề đại hội thể thao Đông Nam Á. Các em hãy cố gắng luyện tập thêm bài trắc nghiệm Unit 13 The 22nd SEA Games Lớp 12 - Vocabulary để mở rộng vốn từ vựng về chủ đề đại hội thể thao Đông Nam Á. Nếu có gì chưa hiểu các em có thể đặt câu hỏi với cộng đồng Tiếng Anh HỌC247 ở mục hỏi đáp để được giải đáp nhanh nhất. 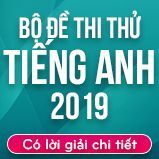 Sau bài học này các em chuyển qua ôn tập Test Yourself E Unit 11 - 13 kế tiếp. Chúc các em học tốt!